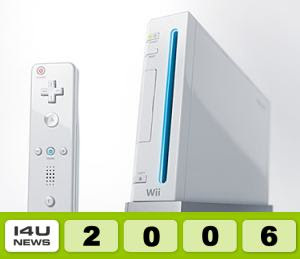 "I4U News selects the Nintendo Wii as the Gadget of the Year. This is of course no big surprise to most of you. There are several reasons why we selected the Wii as our Gadget of the year. It starts with the amount of visits Wii related news posts generated. The Wii topic was ultra-hot during most of the year. PS3 news came in on 2nd place. Another reason is the extremely positive response you can read everywhere about playing the Wii. My personal experience playing Wii over the Holidays was a lot of fun. My PS3 in contrast is already catching dust waiting for a killer game. The 3rd reason is that Nintendo was able to do a reasonably good global launch. All around the globe a lot of people got a Wii. Sure there are still many who did not get one yet, but compared to the Xbox 360 launch and the Sony PS3 launch the Wii launch was good. " After clicking the link they go on to talk about how their gadget model Leah stirred up quite a lot of hits to their site as well. Just the overall attention the Wii got this year was a lot more than PS3 and Xbox360 and the sales prove it. can't argue there metaldave. IT's the truth. Talk to you soon man. p.s. i posted a respond from early on the last post before this one. I check and re-check all past posts during the day usually. Thanks for telling me though.